tells the incredible story of a new breed of man who creates a new force for galactical government. Thus, the Foundation hurtles into conflict with the decadent, decrepit First Empire. In this struggle for power amid the chaos of the stars, man stands at the threshold of a new, enlightened life which could easily be put aside for the old forces of barbarism. 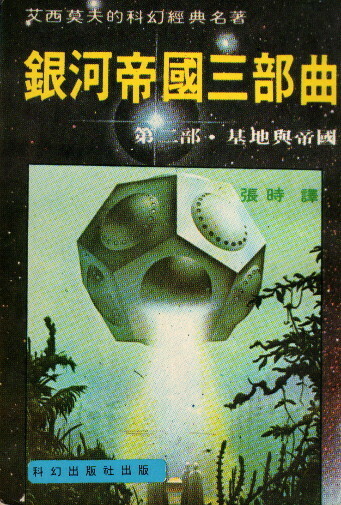 The Foundation novels of Isaac Asimov constitute what is very likely the most famed epic in all of science-fiction. Although this is the second Foundation book, it’s the first one I read—the bookstore where I bought the series didn’t have Foundation in stock. 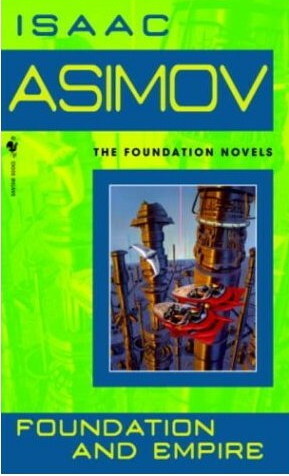 I had seen the Foundation books there often enough, and noted the big circle on the front cover saying they'd won a “Hugo”; award for best sf series, and Asimov was an author I really liked, but even so it took me a while before I was willing to fork out the $0.95 each to actually buy them. It ended up being a key purchase, because I think it’s the original Foundation “trilogy” which transformed Asimov for me from being just another good sf writer whom I liked, to my favorite sf writer. 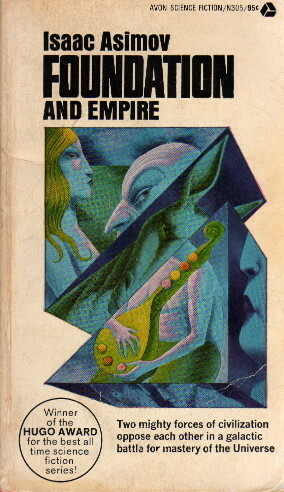 Foundation and Empire is probably the best-written overall of the original Foundation books, although it ranks slightly behind Second Foundation in my own personal ratings. It only contains two stories, “The General” and “The Mule”. The former is good enough, and easily the match in terms of quality for anything in Foundation with the exception of “The Psychohistorians”. 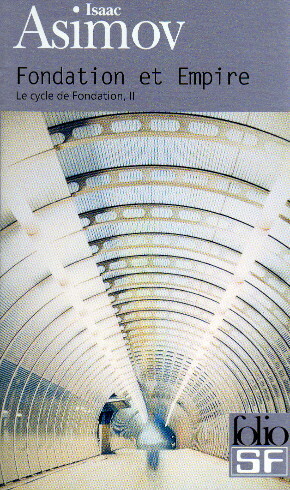 “The Mule”, on the other hand, is fantastic, and easily ranks among Asimov’s best half-dozen pieces of fiction. Here we have a tightly-written and exciting story, which derives its power from the unthinkable: the destruction of Seldon’s plan. Asimov had, by this point, realized that the inevitability of the Foundation’s ultimate victory had robbed his story of some of their potential power, and here he totally subverts that, and does it well. 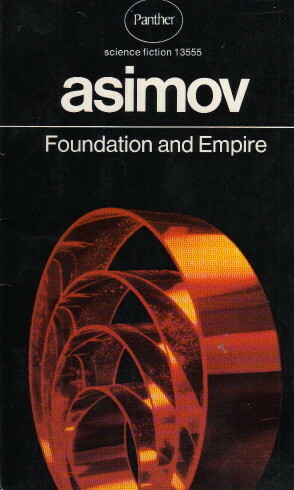 Bottom line: Second-best of the Foundation books, and very near the top of the heap for Asimov overall.